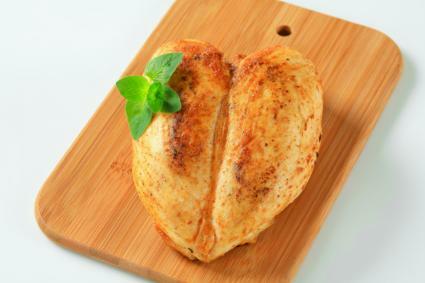 Using a poultry seasoning rub is a great way to add flavor to chicken. Make your chicken dinners more flavorful with these tasty rubs. For best results, use dried herbs and spices to make the rub. Store the rubs in a zipper bag, glass jar, or plastic container that seals tightly. When tightly sealed and kept in a cool, dry place, these rubs will last for up to six months. If you like the flavor of barbecue chicken, but you want to make chicken in the oven, then this rub is for you. It imparts the sweet smokiness of barbecue without having to venture outdoors. This rub works well on chicken parts -- legs, thighs, breasts, and wings. Use a generous amount of the rub on chicken parts. Rub it into the skin and seal it in a container. 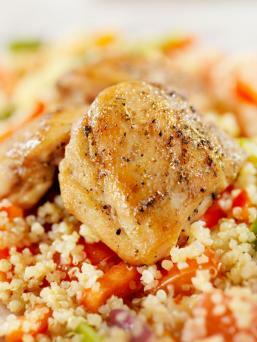 Refrigerate for four to eight hours before baking the chicken in the oven. Use this rub on an entire chicken before you roast it. It imparts a delicious garlic and herb flavor that can't be beat. Put all the ingredients in a food processor or spice grinder. Pulse for 20 one-second pulses to grind and mix all the spices together. Rub on the outside of a whole chicken and wrap it in plastic. 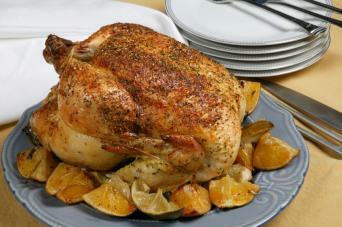 Refrigerate the chicken for four to eight hours before roasting. This dry rub invokes flavors of the Mediterranean with warm spices, minty herbaceous notes, and a lemony finish. Use it on bone-in, skin-on chicken thighs that you grill or bake. Rub the spices on the chicken thighs and refrigerate them in a tightly sealed container or zipper bag for four to eight hours before baking or grilling. Rubs are one of the best ways to add flavor to chicken. Likewise, they are quick to make and easy to use. Liven up your family's chicken dinner tonight with a flavorful spice rub.